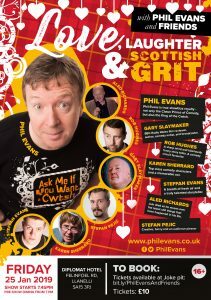 Come and celebrate with us on this special day in the Welsh and Scottish calender. We have: Gary Slaymaker: a sharp and amazingly creative talent. Karen Sherrard: an audience pleaser and an asset to any variety show. Rob Hughes: perfect comedy timing and a delight to watch. 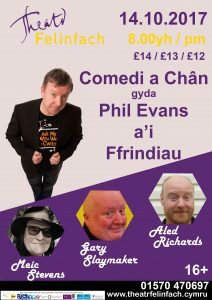 Steffan Evans: one of the young guns of comedy and already a true comedy talent. Aled Richards: a blessed storyteller with perfectly placed gags. Stefan Pejic: talent and timing that engages the audience from the off. 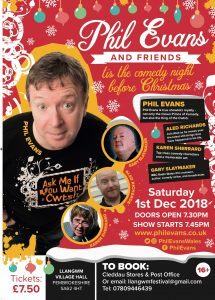 Seven comedians under one roof, that will make you cry with laughter and get 2019 off to a great start. There is no better way to kick off the new year. To add to the occasion, food will be available from 7.00 pm. 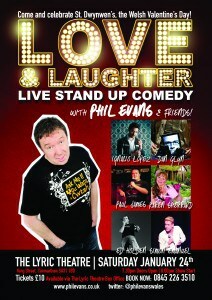 Show starts at 8.00 pm. We are back in Swansea. The Hyst, Hight St – Friday 12th October 2018. Prepare for passion and punchlines celebrating St Dwynwen’s, the Welsh Valentine’s. 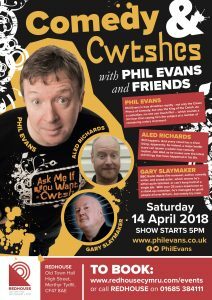 Following sell out shows at Toronto, Edinburgh and Machynlleth Comedy Festival, Phil Evans rallies a rag tag group of the very best in English language comedy. 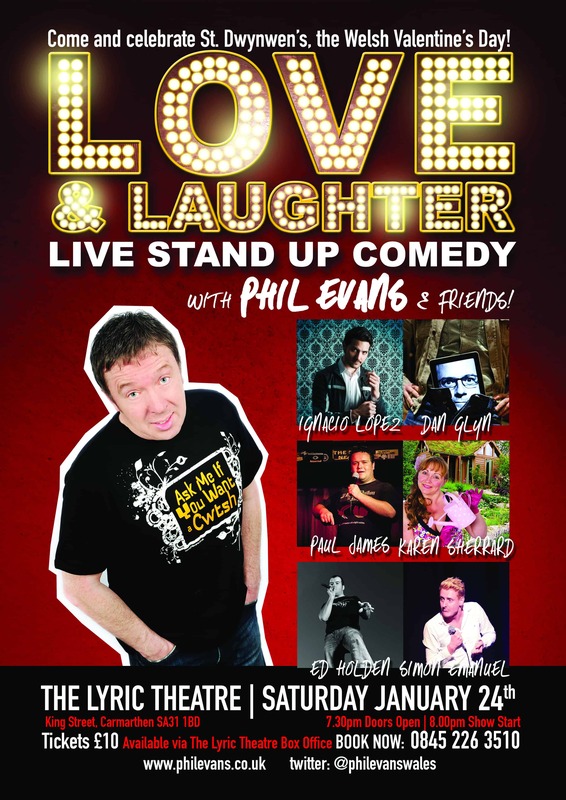 With stand-ups, comedy characters and musical comedy greats, whatever your Facebook relationship status there are guaranteed giggles. 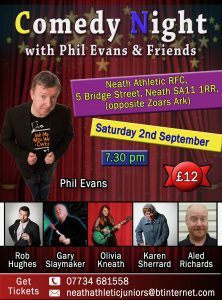 Featuring Phil Evans (Gala Gomedi, S4C), Daniel Glyn (Gwerthu Allan, S4C), Ignacio Lopez (Show Me The Funny, ITV), Ed Holden (BBC Radio Cymru Award Winner), Simon Emanuel (Welsh Unsigned Stand Up Award winner), Paul James, with his cheeky engaging style and a hint of dark comedy and Karen Sherrard who you will instantly warm to once you collide with her engaging characters and sharp wit. 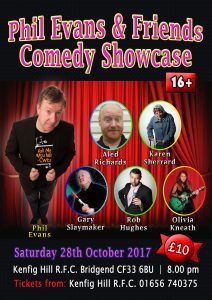 This will be a showcase featuring the very best comedy performers on the circuit today, together with a few extra surprises. 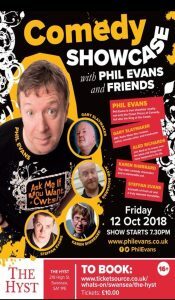 No expense has been spared for this one off night of guaranteed laughter and mayhem, which will be jam packed with over 90 minutes of live comedy and variety. This is a show that you must not miss.